China is fast becoming the most preferred destination for learning MBBS. I a year, more than 10,000 overseas students move to China to study MBBS. 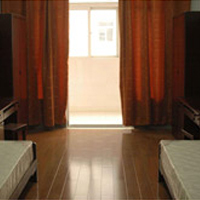 Learning for an English medium MBBS program in China is becoming ever more popular since 2004. Medical colleges with English medium MBBS are identified by the Medical Council of China and identified by the entire World Health Organization (WHO) in the “Directory of World Medical Schools”. Also, the bachelor of the medical level is also internationally recognized. China Medical University is a university in the city of Shenyang, Liaoning, China under the provincial and central governments. It was founded in Ruijin city, Jiangxi province in 1931. 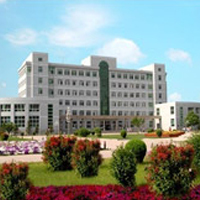 China Medical University is one of the top ten medical schools in all over the country. CMU was a university affiliated with Ministry of Health previously and became a university co-constructed by Liaoning Province together with MOH in the year 2000. CMU was approved by Ministry of Education to recruit international students in 1976. CMU has been teaching medicine in English medium since 1976 and begun its MBBS programs in English and Japanese languages in 2005,which was approved by MOE in 2007. The China Medical University (CMU) was the first medical school established by the Chinese Communist Party. Its precursor was the Chinese Workers’-Peasants’ Red Army Military Medical School and Chinese Workers’-Peasants’ Red Army Health School which had been founded in Ruijin city, Jiangxi province, in 1931. After the Long March with the Red Army, it was relocated to Shanbei. In 1940 comrade Mao Zedong proposed, and the central committee of the Chinese Communist Party approved, the name of the school being changed to China Medical University. In July 1946 the university was ordered to enter northeast China with the army and reached Hegang city, Heilongjiang province. In November 1948 the whole northeast of China was liberated and the university was ordered to move to Shenyang. In 1948 and 1949 it absorbed the medical school formerly operated by the (Japanese) South Manchuria Railway (the South Manchuria Medical america.html and the Mukden Medical america.html whose origins go back to 1892 when Dr Dugald Christie founded the Shenjing Medical School. MBBS Tuition Fees russia ukrain chinaChina Medical University has been authorized by the Education Ministry to admit foreign students in 1976. Since then, CMU has established good exchange and cooperative relations with 78 universities, institutes and institutions in Japan, USA, England, France, Russia, South Korea and Canada etc; Many internationally famous professors have been conferred honorary titles of CMU; 52 important international cooperation projects have been conducted. Stable cooperation relations have been set up with other countries on 40 disciplines. In 2011, there are about 404 foreign students and students from Hong Kong, Taiwan and Macau studying in China Medical University.